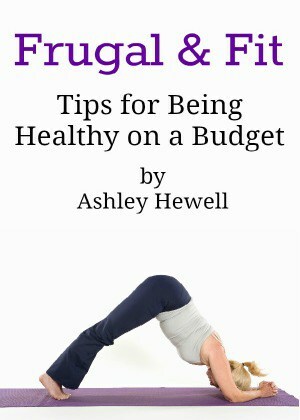 The holidays can be a wonderful time but they can be stressful as well. I have come up with a master plan to speed clean my home before my holiday guests arrive and it has made my life so much easier! Knowing how to speed clean your home comes in handy before any unexpected guests arrive. How many times have you found out that your in-laws were coming over and you only had 30 minutes to get everything looking neat and tidy? Yeah, I’ve been there, too! 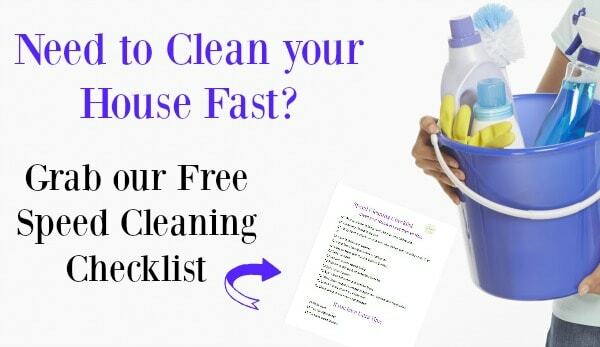 I tend to have more guests in my home during the holidays so when I have less than an hour before they arrive, I like to use my speed cleaning checklist to make sure my house looks presentable. 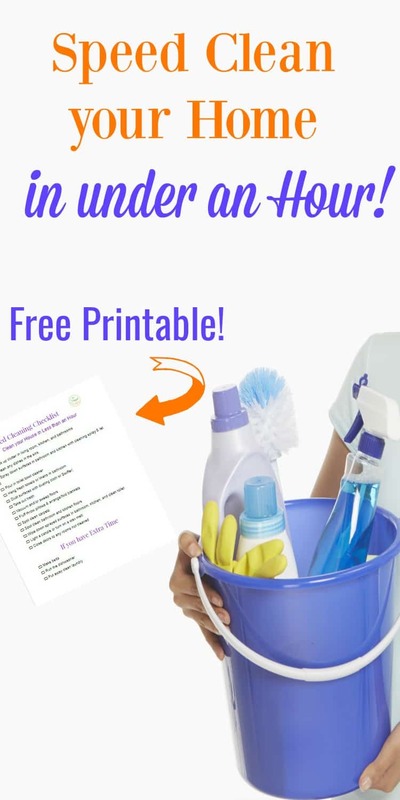 I have partnered with Carbona in exchange for compensation to share my favorite tips and tricks to speed clean my house in less than an hour. Use these throughout they holiday season as well as the rest of the year. You may even get your house clean a lot quicker if you recruit your spouse and kids to help you tackle the list as well. When you start to clean, stick to the main areas that your guests are going to be: living room, bathroom, and kitchen. 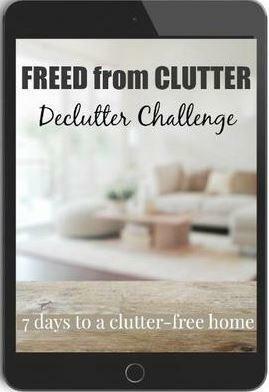 Tackle the Clutter (10 mins. ): The first thing I do is take a box and go around picking up any clutter from the kitchen counters, end tables, kitchen table, bathroom counters, etc. Throw all of the papers and miscellaneous items into the box, you can sort through it after your guests leave. Put the box in the garage or closet where no one will see it. I will also take any small kitchen appliances that I won’t be using off of my counter tops. It makes the kitchen look more clean and tidy. I will also set these in the garage or store them in a cabinet. Do the Dishes (5 mins. ): If you have any dishes in the sink, throw them in the dishwasher. If the dishwasher is full, wash them as quickly as you can. Wipe Stainless Steel Appliances (2 mins. ): I like to wipe down my stainless steel appliances to get rid of the streaks and fingerprints that make them look filthy. 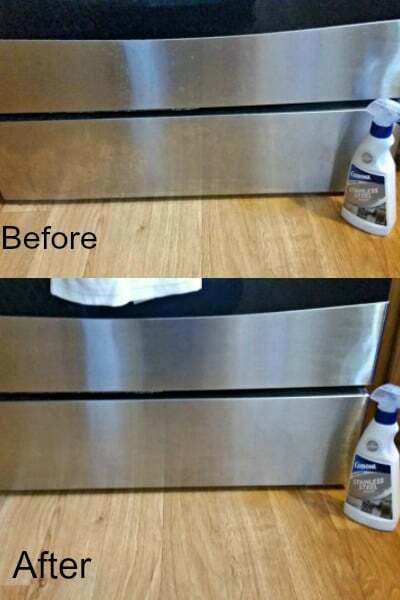 I use the Carbona Stainless Steel Cleaner to get everything wiped down quickly. It works great, I don’t have to use a lot of elbow grease to get my appliances looking shiny and new. Take out the Trash (2 mins. ): While you are in the kitchen, go ahead and take out the trash if it is smelly or getting full. Spray Surfaces (2 mins. ): Take your bathroom and/or all-purpose cleaner and spray down the counters in your bathroom and kitchen. Let them sit until you are done cleaning everything else. By letting the cleaner sit for a while, it will be easier to wipe the dirt and grime off without having to spend time scrubbing. Clean the Toilet (1 min. ): If your toilet is looking a little gross, go ahead and pour some toilet bowl cleaner in it and let the cleaner sit until the end. Hang fresh Towels (2 mins. ): Hanging fresh towels in your bathroom really makes the room look neat and organized. Speed Dust (3 mins. ): Quickly take a dusting cloth and go over any end tables, bookshelves, and the entertainment center. Just dust the areas that you can see, don’t worry about taking anything off to dust behind them. Vacuum/Sweep (8 mins. ): This is a very important step. Sweep your hardwood floors and vacuum your carpets. It will make your home look cleaner more so than any other step, especially if you have pets. 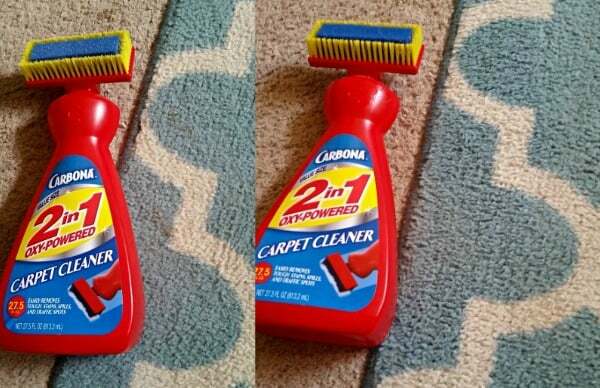 Spot Clean Carpets (5 mins. ): Look for any spills or stains that may be really noticeable on your carpets. My carpets usually have something tracked in on them so I use the Carbona 2-in-1 Oxy-Powered Carpet Cleaner to get up any stains. We had some coffee stains that I needed to clean off of my carpet. The carpet cleaner removed the stains in no time. I really didn’t even have to scrub very hard. I love that it has an attached brush applicator so it can get the formula deeper in the carpet fibers. 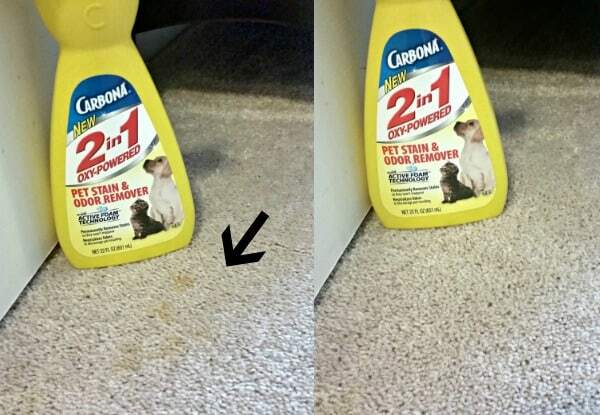 Since I have two dogs, I also use the 2-in-1 Oxy-Powered Pet Stains and Odor Remover to get up some of the pet stains around my house. I found this stain right in front of my bedroom door and it literally took me 2 minutes to clean this stain. I was very impressed with how easy it was to remove. Spot Clean Hardwood and Laminate Floors (5 mins. ): I like to take a rag or a disinfecting wipe and just clean up any spills or sticky areas in the kitchen and bathroom. Finshing Touches (5 mins): Now most of the house should look great. Just go back and wipe down the counters that were sprayed and finish cleaning the toilet. Fluff the throw pillows and fold or hang any blankets in the living room. Make sure shoes are not in the foyer and light a candle or turn on a wax melt to give your home a fresh and clean scent. Go through the rest of the house and close the doors to any rooms that weren’t cleaned. To make this process go a little quicker, grab the rest of the family and put them to work. I also like to keep all of my cleaning supplies in a little caddy so I’m not running back and forth between rooms to get what I need. Nobody likes cleaning but hopefully, this checklist will make it a bit easier for you. 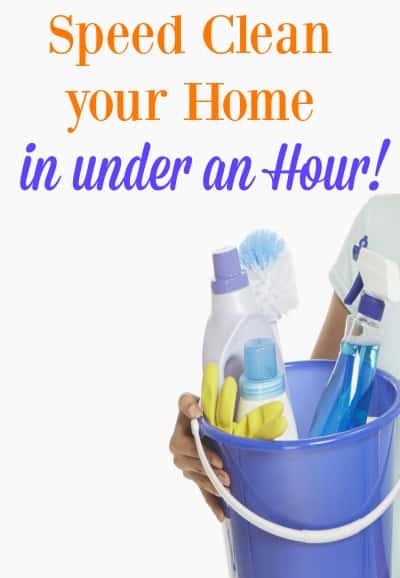 Use these tips to speed clean your home whenever the need arises, for me that is pretty much the norm!